This recipe for colorful, spicy pickled carrots has a multitude of uses—serve them a wonderful zesty hors-d'oeuvre or chop and add them to grain-based salads like tabbouleh. Finely minced and added to sour cream, they make a terrific dip. You can process them in a boiling water bath and they will last at room temperature for a year or longer. Or you can skip the processing and make them as you would refrigerator pickles, in which case they will last three months. This recipe will yield approximately one (1-pint) jar but you can multiply the recipe to make bigger batches. Do not, however, use larger jars as that affects the canning time. So, for example, if you double the recipe, use two (1-pint) jars rather than one (1-quart) jar. Tightly pack the carrots into a clean 1-pint canning jar (it is not necessary to sterilize the jars for this recipe unless you will be processing in a boiling water bath). It is easier to lay the carrots in lengthwise if you put the jar on its side and slide the carrot spears in horizontally. Tuck in the chile peppers. garlic, coriander, cumin, and bay leaf as you go. Bring the vinegar, water, honey, and salt to a boil. Pour the hot liquid over the carrots and seasonings in the jar. The carrots should be completely covered by the liquid, but there should be 1/2-inch space between the top of the liquid and the rim of the jar. 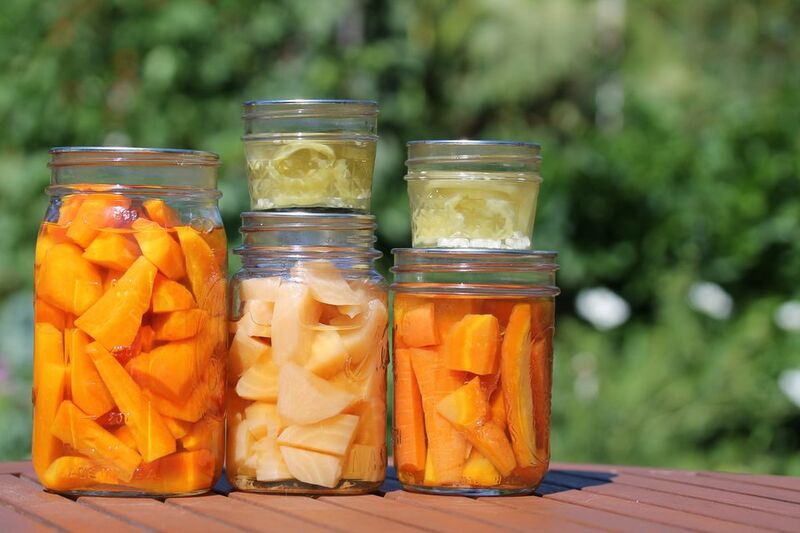 Screw on a 2-piece canning jar lid and put the jar of spicy pickled carrots into the refrigerator and start enjoying them after they've had two weeks for the flavors to develop. To be able to store at room temperature, pack sterilized jars with the ingredients and process the jar(s) in a boiling water bath for 10 minutes. You must use a canning jar and canning lid to process in a boiling water bath.